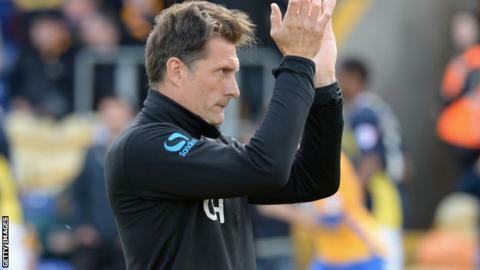 Torquay United's defence must improve, according to manager Chris Hargreaves. They as former striker Karl Hawley scored twice against a depleted Gulls backline. Torquay had midfielder Courtney Richards at centre-back as Aaron Downes and Angus MacDonald were suspended. "I still back these players, they're a good group, but we've got to do better than that defensively because that wasn't good enough," Hargreaves said. However, he refused to single out Richards, who made a mistake for Alfreton's third goal. "You need 11 players to be doing it to be successful and too many were off it," he told BBC Radio Devon. "It wasn't players coming in, it was a whole unit that wasn't at it. "I back my players, they're a group that are hungry to do well, and we win lose or draw together, so they'll get my full support next week, we've just got to work harder."